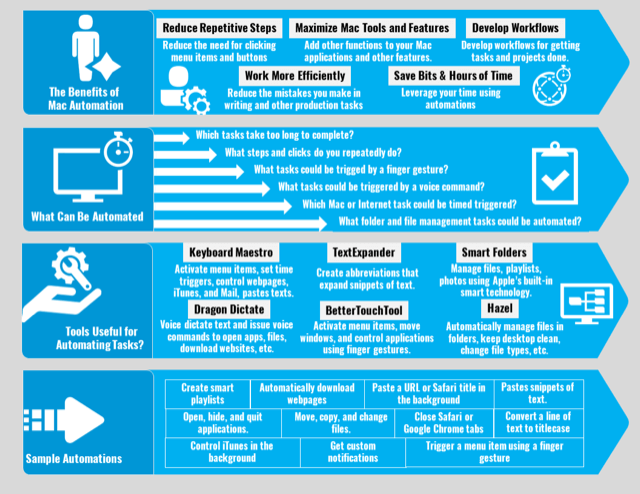 Checking email can be the biggest waste of time when it comes to working at your Mac, especially if over half of the email messages are newsletters, ads, and notifications. This is why Apple’s smart mailbox and rules features are an important solution bypassing and managing the deluge of emails in your inbox. As with iTunes and iPhoto, Apple’s Mail allows for creating smart mailboxes that filter incoming and existing emails based on rules you set. Two the smart mailboxes I use on a daily basis are the VIP mailbox, and a previous recipients smart mailbox, both of which help me avoid the less important messages in my inbox. 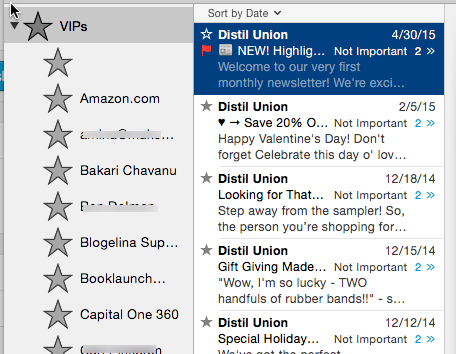 If you don’t already know, the latest version of Mail includes a VIPs mailbox. This mailbox will capture emails by Senders you have starred as a VIP. To make a sender a VIP, point your mouse next to the name of the sender and then highlight the star that appears next to the name. All the emails by VIPs will appear in the default VIP folder, which is located in the sidebar of Mail. You can select individual VIPs from the drop-down in the sidebar and/or you can click on the VIP folder under the list of Smart Mailboxes in the sidebar. In addition, you can drag the VIP folder into the favorites bar of Mail in order to access it quicker. Unfortunately the VIP folder can’t be customized to only collect the most recent emails from VIPs, and there’s no rules for cleaning the folder over time. But it is a useful folder for checking emails by senders you deem important. The first mailbox I check in the morning or afternoon is one that collects emails from my previous recipients. Typically these emails are from people whom I am currently in correspondence with. This mailbox enables me to avoid looking into the Inbox folder where there are usually dozens of emails that don’t need my immediate attention. 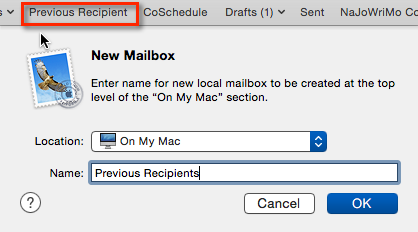 To set up a previous recipients smart mailbox, first create a regular mailbox folder to capture the designated emails. Do this by clicking on Mailbox > New Mailbox in the Mail menu bar. Give the mailbox a name. Notice that I also moved this mailbox into the favorites bar for easy access. 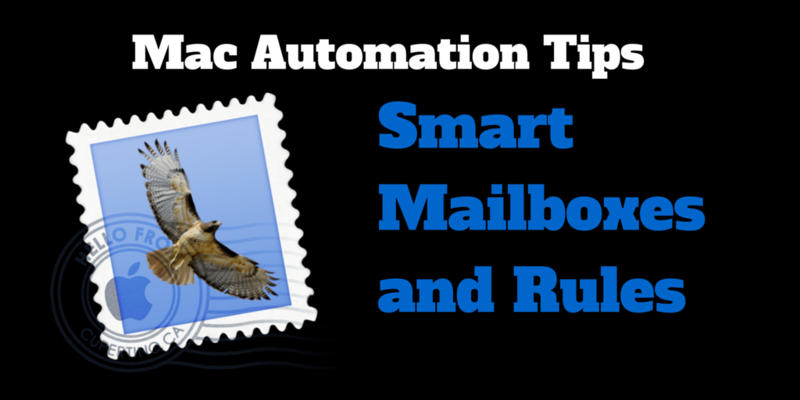 To create the smart mailbox, open preferences in Mail, and select Rules in the toolbar. 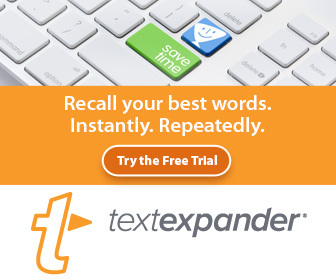 From there, click on Add Rule. Add the rules as shown above. Note, the “From…does not contain” rule is for previous recipients I don’t want to appear in the mailbox. You can also adjust the “Date sent” for however you like. 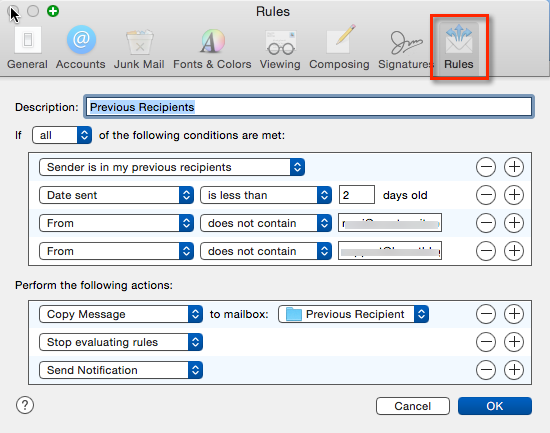 Notice, I also include a rule for copying emails to the Previous Recipient folder, because I want to be able to delete those messages in the smart mailbox without deleting them from my general inbox. Also add the “Stop evaluating rules” action, but you can leave off the “Send Notification” action if you don’t need it. The goal for me each day is to get my Previous Recipients mailbox cleared out as much as possible by either responding back to recipients and/or deleting the emails once they are no longer needed. Because I set the rule for the smart mailbox to only captures emails that are less than two days old, that gives me time to work through those messages, and it means I can avoid all other inbox emails until the end of the workday. 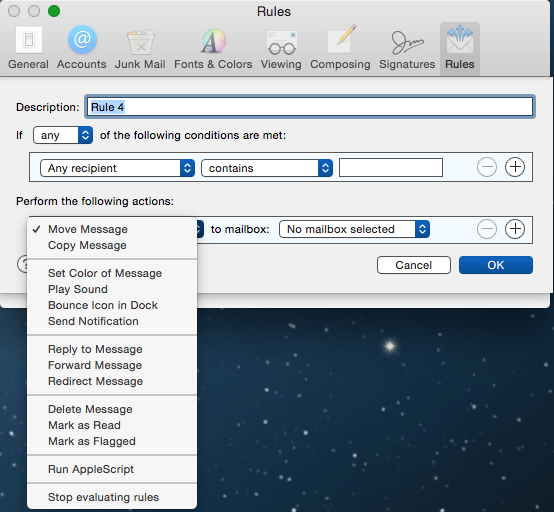 Notice also under Rules that there are about a dozen rules and several actions for creating smart mailboxes. 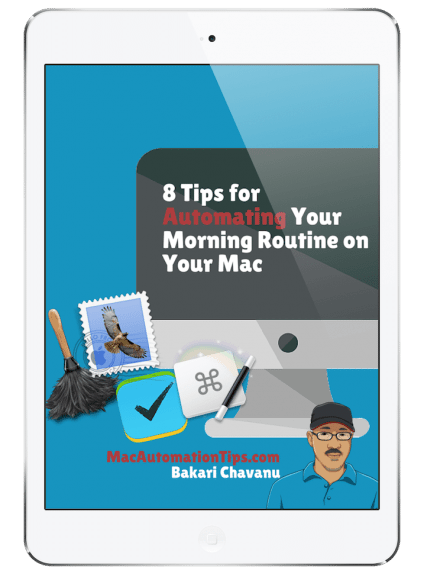 I provide more examples of these rules in my Mac Automation Guide. For example, you can create smart mailboxes for capturing only the emails sent in the last day, last year (useful for clearing your old emails) and from designated senders. Smart mailboxes can be created to capture emails that contain specified text in the subject line, or from only senders who are in your Contacts list. Future blog posts will include other ideas for smart mailboxes. In the meantime, please share examples with me and my readers of the smart rules and mailboxes you use in Mail.